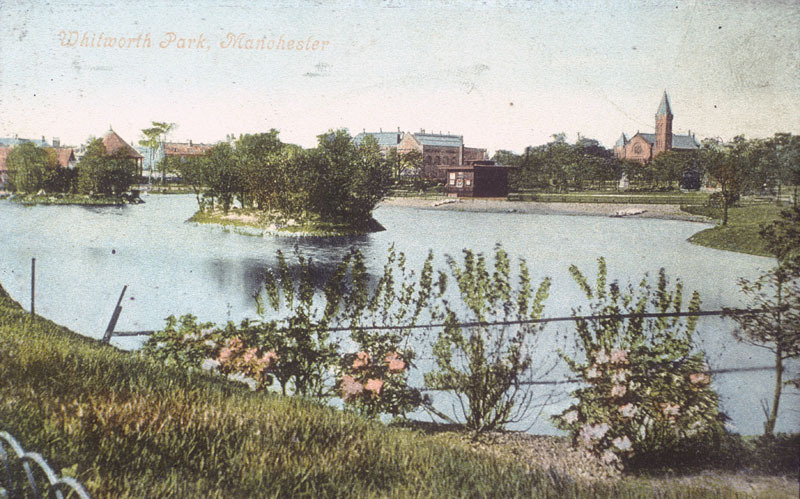 Postcard of Whitworth Park looking towards Oxford Road with the Whitworth Institute in the centre, before the facade was built, c1900. I joined the Whitworth Art Gallery as Exhibitions Officer later moving into senior management when I started to get more involved with Whitworth Park. Unhappily, the Park slowly declined and, while we were developing plans for the Gallery, we were not able to include the Park in the project. Frustrated by this, I worked with ward councillors, council officers and the local community to establish a new Friends of Whitworth Park group which was able to secure funding for some key infrastructure improvements as well as promote a new secure and ambitious future.